Sherr Law Group’s Managing Partner, Tony Sherr, will be presenting a webinar to camp owners this month. The webinar, Avoiding Sexual Harassment in a Camping Environment: Tips and Strategies, will be presented in partnership with AMSKier Insurance, an insurance company based in Hawley, Pennsylvania. AMSKier Insurance is a family-owned insurance company with over 80 years of summer camp experience. 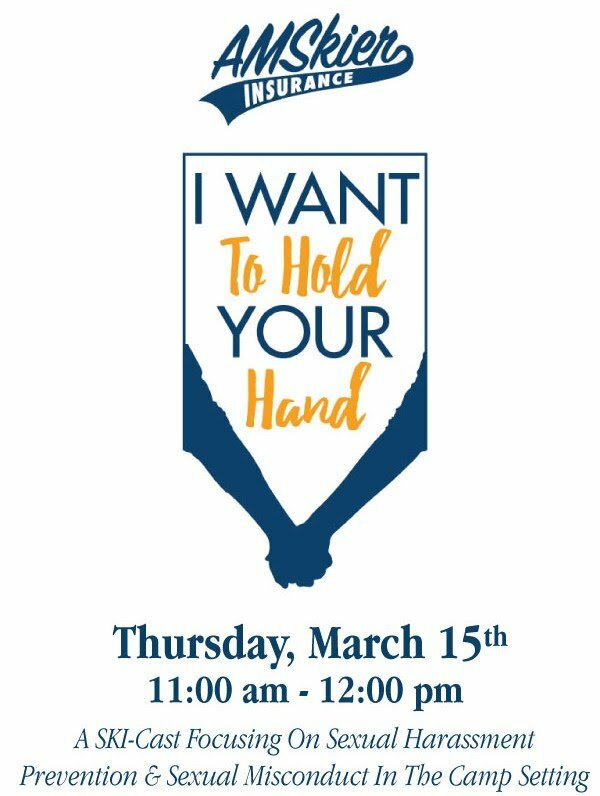 The online webinar event titled, I Want to Hold Your Hand, will focus on sexual harassment prevention and sexual misconduct in camp settings. 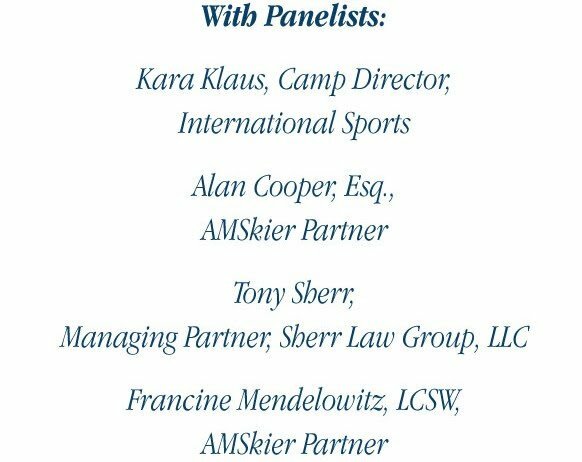 Tony Sherr will be presenting alongside two AMSkier Insurance Partners, Alan Cooper, Esq., and Francine Mendelowitz. International Sports Training Camp (ISTC) Director Kara Klaus will also be joining in the conversation. ISTC is a sports camp that combines the experience of a traditional summer camp with a sports camp. Tony has experience defending a variety of day camps and overnight camps, either directly or through its insurance carrier, against allegations of wrongdoing. He attended Delaware Law School and has been a member of the Pennsylvania Bar since 1985. Sherr Law Group has worked with Camp Owners to conduct liability risk assessments, third-party release reviews, insurance proposal reviews, legal history reviews, fair labor and wage act reviews, and examine employment documents, policy manual, and hiring practices. 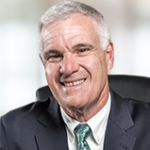 This past November, Tony presented to a group of camp owners at their monthly Camp Directors Meeting in Boca Raton, Florida, on the topic of Employment and Contract Law: What Camp Owners Need to Know. For more information on Sherr Law Group’s services for Camp Owners, click here. Join us for a frank discussion of sexual harassment and misconduct in the camp industry. How to recognize it, how to stop it, how to address complaints, and how to create a culture where staff knows that it will never be tolerated. If you’d like a specific camp question answered during the webinar, you can submit it here. For more information about this event, reach out to amskier@amskier.com.